Years ago talented writers were trying to reach various publishers and ended up being turned down. Today cutting-edge technologies bring in new opportunities for them to get noticed. Self-publishing becomes much easier to implement than ever before. However, the digital age has also changed book readers᾽ habits and preferences. They got used to have everything important on their gadgets including books. Today publishing your works online becomes more convenient since there are various formats to choose from. The abundance of tools is impressive - from editing and designing solutions to launching an e-book at little or no cost. What’s more, you can develop and publish your work as an app without any help of publishing houses. E-Book Apps give a unique interactive experience that allows readers to perceive a story on a new level. Besides, e-books are sold better than their paper versions. What is a Book in the Form of Mobile Application? 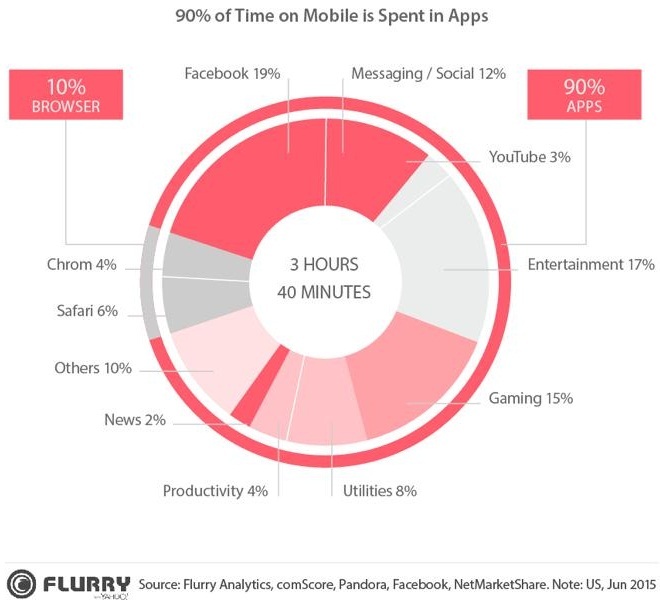 According to Flurry Analytics, mobile device users spend 90% of their time using various apps on their gadgets. 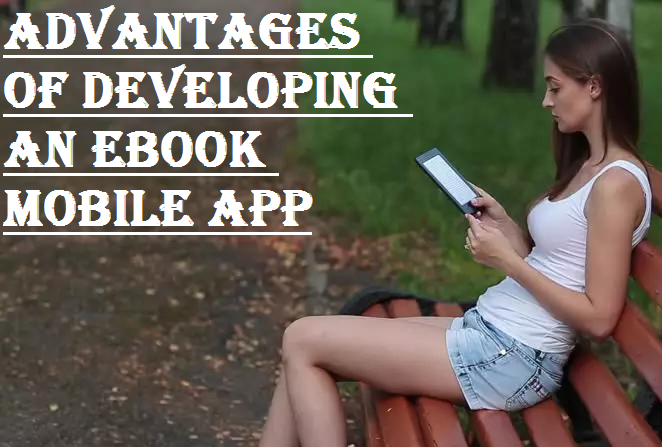 So creating any mobile app seems a good and profitable idea, especially, when we talk about mobile book, which everyone has on their smartphones. There is a variety of options offered by digital publishers. It ranges from common quotes shared on social networks and audio clips to immersive sound effects and the opportunity to interact with main characters and 3D videos. Obviously, it takes special tools to build all these features. All e-books are differentiated based on the functions they perform. As a rule, basic e-books don’t require coding skills. You may easily create them with the help of special tools like iBooks Author, for example. Mobile app requires professional touch from a team of expert developers. This is a piece of writing available in the digital form. Simply put, it is a digital version of a traditional book, without any advanced features. It can be MS Word doc, PDF or EPUB formats. You can find it on Apple iBook Store, Amazon, Kobo. This is a hybrid version which comprises features of a traditional e-book and a mobile app. It’s not that hard to design compared to a mobile app. But it has more interactive elements, such as animation or audio background. Its formats can vary depending on the devices it is used on. Applications are the small pieces of software designed for various mobile devices with a separate icon on a gadget. Native app is an application that is built for a particular device and operating system (e.g. iOS or Android). The capabilities of native apps are far broader than those of a traditional or even enhanced e-book. You can add diagrams, interactive scenes or pre-recorded narrations to your mobile app. Thus, technologies transform books into exciting stories with characters that come alive. How to Build a Top-Notch E-Book Application? So you want to build an exciting interactive app for your piece of writing, right? What have you done so far? You’ve created engaging content. One big part is done. Now you have to introduce it into a digital environment. E-book app development starts with a solid market research. It may take some time to analyze the niche and learn its peculiarities. At this stage, it is important to investigate your target audience and its preferences. Another important thing to explore is your competitors. How long have they been on the market? How strong are they? This information helps decide on the app format and make the project unique. This is a skeleton of the entire project. It describes application functionality and shows in-app interaction. Also, it defines what platform your app will be built for. This part of the e-book app development is rather complicated and requires specific skills and knowledge. Prototype is a rudimentary model of the app, which helps you see the final product and make improvements if necessary. In a nutshell, this is a clickable mockup of your app. Front-end part is about app design and functionality. Backend development is responsible for connecting an app to various servers, external recourses that are used for timely app updates. Only high-rate app development company’s high-rate app development companies cover all these parts. Backend development is not the last stage of the e-book app creation. Once your app is ready you have to test it. This is the best way to find bugs and fix them before you launch the app. App Development Company knows what the most convenient platforms for your app are. They may also help you sell your app. So, if you want your app to bring revenue, consult marketing professionals about the best way to market it. What are the Benefits of Developing an eBook Mobile App? Readers want an improved experience and new technologies can deliver on their expectations. With endless capabilities that mobile applications offer, both writers and readers can realize their most daring ideas. User-friendly format of the mobile app allows your book to reach the targeted audience and bring you recognition and financial reward. There are more chances to sell your e-book as a part of mobile application rather than just a digital copy. There are more places where you can promote it starting from social media and app stores to blogs. Inform the reader about your e-book app through push notifications. One more advantage of an e-book in a mobile app is that you can sell it. You only have to choose the right marketing strategy and then reap the benefits of your product. To sum it up, fast pace of life brings new opportunities that are used to deliver people an improved user experience. With a brand-new approach to an e-book, you can make your piece of writing stand out. Want to be one step ahead your competitors? Want to be heard? It’s time to create an innovative product and benefit from it!